alley drugstore junk. Flying in the face of this monopoly, Sandy Lerner (cofounder of Cisco Systems) made a bold decision: if the cosmetic industryâ€™s â€œbig boysâ€ couldnâ€™t satisfy her alternative makeup tastes, sheâ€™d satisfy them herself. 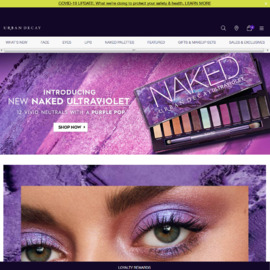 Unfortunately cash back is temporarily not available at Urban Decay. You can still find coupons and earn cash back at one of the similar stores listed on the left-hand side of this page.